We are currently seeking an Office Administrator for our office in Little Island. The ideal candidate will have a good telephone manner and excellent computer skills (Word, Excel). Knowledge of Sage would be an advantage but not essential. The candidate must be fluent in English, have an ability to work on their own initiative and possess a good attention to detail. Option for 3 day week or 5 day week for the right candidate. Apply via email only with CV stating preference for part time or full time work. 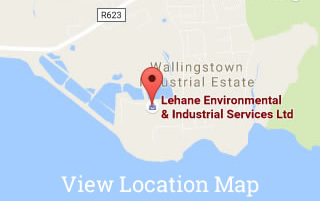 Due to our continued expansion, Lehane Environmental is open to hiring experienced, motivated and enthusiastic staff. Please submit your CV via email to info@lehaneenvironmental.com. Lehane Environmental operate a large, diverse and specialised fleet – Jetting Units, Camera Units, Suction Units, Combi / Jetvac Units, Rigid/Articulated Units, Curtainsiders, etc. Experienced Drain Cleaning Operator / Waste Tanker Operator. Confined Space Entry, Manual Handling, Chemical Handling, ADR – an advantage, but not essential.